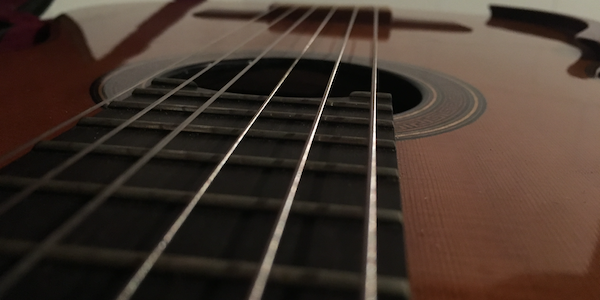 Classical guitar technique starts with fingernail care. The most important part of nail care — before even finding the correct shape of nails for the right hand — is consistency. Technique is also about consistency: movement patterns must be consistent and consistently drilled in exercises and in real music. Those movement patterns will never be the same if nail length and shape isn’t consistent from day to day. It’s still a great idea to do nail care before the practice day, but it’s probably an even better idea to review and care for nails every single day. That’s hard. Sometimes that tricky exercise or beautiful piece of music is calling. Nails get in the way of the real practice. But what if set of left hand nails that are too long force changes in hand position? That practice becomes less effective because movement patterns within some piece of music or exercise will change from day to day. Just because five minutes was too much time for nail care. After a few days off from pratice, I returned to my guitar tonight with newly filed and smoothed nails (thanks to some new micro mesh pads). I was excited to get back to it. But nothing really felt great. Why? I’d let my nails get too long over the last week — right and left hands. I’d also been using a set of micro mesh pads that were worn out and not really getting a good edge on my nails. I felt like I’d set myself back by not taking care of my nails sooner. This feeling inspired this article and the warning: take care of your nails first. Without nail care, technique work only gets harder.